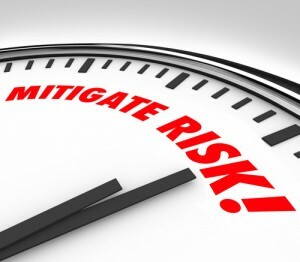 Business Continuity (BC) and Disaster Prevention (DP) are major concerns into today’s business environment. The NEWT Managed PBX Solution, due to its advanced Hybrid Architecture, provides unparalleled fault tolerance. Servers within the core network are purpose-engineered for multi-level fault tolerance, with multiple, diverse power sources, redundant network connectivity, and redundant connectivity to the Public Switched Telephone Network (PSTN) such that no single point of failure exists. Key functions of the system are distributed across multiple redundant aggregators. In the improbable event of any one failure, the NEWT Managed PBX seamlessly connects to a redundant server within the hosted core. In the event of specific/local issues, such as loss of network connectivity or power, which would take a traditional PBX offline, the NEWT Managed PBX features that are hosted on this redundant core infrastructure continue to operate normally. As an example, voicemail continues to record caller messages because it is hosted in the core. With the included Voicemail to Email functionality, these messages continue to be emailed to end users ensuring they are always connected. The Automated Attendant functionality is also hosted within the core voice network. This service controls all customer specific call routing, either simple or complex. Entries can be made to provide for ‘offline’ phone numbers, enabling automatic call redirection during local failures. This is transparent to the caller, and allows for ‘always on’ voice service; inbound calls should be received whether the PBX is operational or not. The included NEWT call intelligence manages call flows from the aggregator level to ensure that inbound calls are routed to users, either via their primary work extension or a secondary residential or cellular number, which is a vital component of business communications. Calls that reach users on their cell or home phones via features like “Find Me Follow” Me or “Call Forwarding” via the built-in call flow intelligence can be transferred as easily as if they were received on the users office desk phone to any other extension on the PBX. 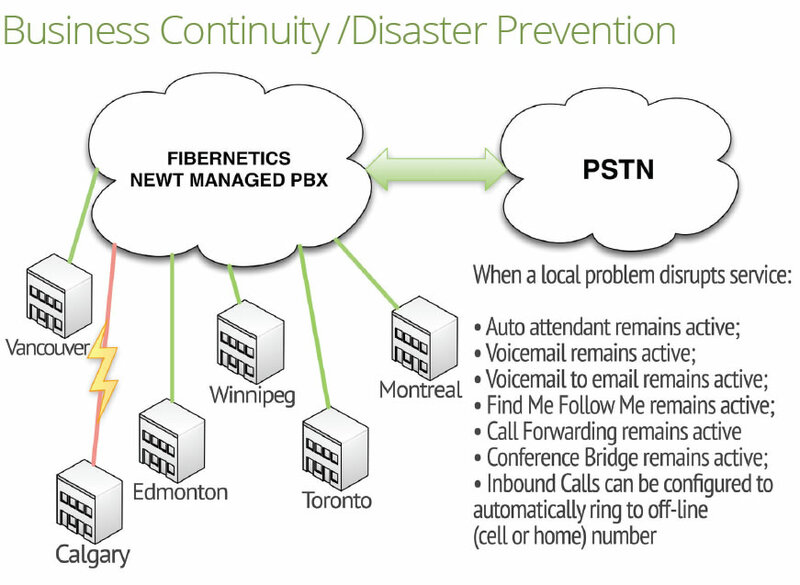 Learn more about the NEWT Managed PBX Business Phone System and make it part of your company’s Business Continuity and Disaster Prevention Plan. Keep your team, partners and customers in communication when a problem or disaster disrupts telephone service and IT systems. Contact THM Group today to see how easy it is to transition to a NEWT PBX.